Shaheed Al Hafeed, November 3, 2018 (SPS) -The Polisario Front on Friday reaffirmed its willingness to cooperate with the United Nations for the decolonization of Western Sahara, and called the Security Council to bring the Kingdom of Morocco back to unconditioned negotiations. The Polisario Front made this statement at the meeting of the Permanent Bureau of the national secretariat of the front, chaired by Sahrawi President Brahim Ghali. The meeting focused on the Security Council resolution 2440 (2018) on a sixth-month extension (31 April 2019) of the mandate of the United Nations Mission for the Referendum in Western Sahara (MINURSO) and the resumption of negotiations under the UN aegis to find a just, sustainable and mutually acceptable solution based on the Sahrawi people’s right to self-determination. In this connection, the Polisario Front reiterated the position of the Sahrawi party in favour of cooperation with the efforts made by the UN Secretary General and its personal envoy to complete the decolonization process of Western Sahara, the last colony in Africa. The Bureau called the Security Council to bring Morocco back to direct and unconditioned negotiations with the Polisario Front with good will. It also recalled that the Sahrawi party had approved an invitation to the Geneva meeting scheduled for 5-6 December 2018. 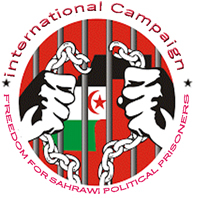 Good will must be translated into the liberation of Sahrawi political prisoners from Moroccan jails in parallel with the immediate cessation of human rights violations and natural resources looting. In the same regard, the Bureau stressed the UN’s responsibility of the protection of the Sahrawi territory.